NCDD Workshop: "Facilitating Effective Dialogue on Challenging Community Issues"
From November 2-4, PlaceSpeak will be attending the National Coalition for Dialogue and Deliberation (NCDD)’s 2018 National Conference. There is significant evidence to suggest that Americans are more polarized than ever: Pew Research’s recent study indicates that 8 in 10 respondents believe that “Republican and Democratic voters not only disagree over plans and policies, but also cannot agree on basic facts”. In addition, as social media algorithms continue to reinforce echo chambers and further political divides, technologies that support respectful and meaningful dialogue online – by design – are more crucial than ever. Join Elkhart County Commissioner Mike Yoder and PlaceSpeak Communications Manager Mary Leong at their workshop on “Facilitating Effective Dialogue on Challenging Community Issues”. Session Description: Recently, Elkhart County, Indiana needed to hear from community members on a proposed rezoning to build an immigration detention center which would house up to 1,400 immigrants facing possible deportation. This case study will demonstrate how Elkhart County Commissioners used PlaceSpeak to engage with residents, and how they facilitated respectful online dialogue on this controversial and potentially explosive issue without trolls or bots. Session participants will be asked to share challenging issues in their own communities and how they can apply the best practices to their local context. 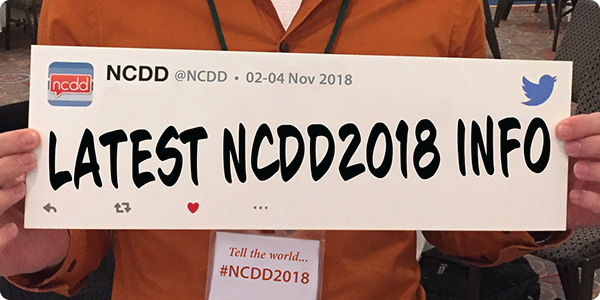 Learn more at the NCDD 2018 National Conference website.